Basil Leaves - 20 Oz. Cajun Seasoning - 20 Oz. Chili Powder - 5.5 Lb. Ground Cinnamon - 5 Lb. Canadian Style Steak Seasoning - 26 Oz. Cocktail Sauce - 1 Oz. Fajitas Marinade and Seasoning - 30 Oz. Gold Medal Ground Cinnamon - 1 Lb. Gold Medal Hot Sauce - 1 Gal. Gold Medal Onion Powder - 20 Oz. 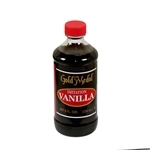 Gold Medal Imitation Vanilla - 8 Oz. Gold Medal Imitation Vanilla - 1 Gal. Gold Medal Imitation Vanilla - 32 Oz. Ground Ginger - 1 Lb. Italian Seasoning - 24 Oz. Italian Seasoning - 6.5 Oz. Strawberry Jam - 0.5 Oz. Jelly Assorted Cup Grape Apple and Strawberry - 0.5 Oz. Grape Mixed Fruit Assortment Jelly Cup - 10 Gm. Seasoned Meat Tenderizer - 28 Oz. Onion Powder - 20 Oz. Chopped Onion - 15 Lb. Chopped Onion - 3 Lb. Oregano Leaves - 24 Oz. Oregano Leaves - 5 Oz. Parsley Flakes - 10 Oz. Parsley Flakes - 2 Oz. Sweet and Sour Cup Sauce - 1 Oz. Hot Sauce Pouch - 7 Gm. Philly Steak Seasoning - 19.5 Oz. Sesame Seed Spice - 1 Lb. Taco Seasoning - 20 Oz. Tartar Sauce - 20 Oz. Dressing Honey Pouch - 9 Grm. Chili Powder - 25 Lb. Sauer Freeze Dried Chive - 1 Oz. Sauer Chili Powder Mild - 1 Lb. 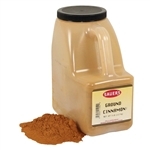 Cinnamon Stick - 8 oz. Sauer Curry Powder - 1 Lb. Dill Weed - 5 Oz. Garlic Salt - 12 Lb. Gold Medal Cayenne Pepper - 1 Lb. Gold Medal Parsley Flakes - 2 Oz. Garlic Seasoning Gourmet - 24 Oz. Ground Nutmeg - 1 Lb. Granulated Onion - 18 Oz. Sauer Minced Onion - 1 Lb. Sauer Onion Salt - 36 Oz. Sauer Paprika - 5 Lb. Black Course Pepper - 1 Lb. Sauer Poultry Seasoning - 12 Oz. Rosemary Leaf - 9 Oz. Thyme Leaves - 7 Oz. Competition Imitation Vanilla Flavor - 32 Oz. Basil Leaves - 10 Lb. Seasoning Vanilla Extract - 1 Gal. Sauce Marinara - 1 Oz. The largest producer of extracts and spices in the country. They also make great mayonnaise, sandwich relish, salad dressing, and tartar sauce for restaurants to create delicious meals with. These flavorings and seasoning mixes enhance meal preparation and baking for the everyday cook in cafeterias.